It was the first working day of the third week of the month of February 2013. I had left Benin-City, Edo state where I study Petroleum Engineering for Lagos state. A journey I embarked on for the purpose of getting corporate sponsors for my group’s cancer awareness programme. I got to Oando Plc at No 2 Ajose Adeogun street in Victoria-Island at about 10:35am. As nervous as I was, I approached the entrance with fever-pitched excitement, “Lord help me” was the mantra playing in my head. I could see through the glass-door a tall man clad in military uniform approaching the door from inside. We both got to the door almost at the same time, he then opened the door for me so I could go in first before he got out. I didn’t buy it, but I said thank you fearfully because of the somewhat general mind-set about military men being boorish and aggressive people, and owing to the fact that I have seen some of them humiliate bus-drivers a couple of times, nothing less ought to be expected of me. The interior was cool, beautifully designed and it made me feel relaxed and a little less nervous. Just when I thought my Military-encounter-episode was over, my gaze met five soldiers sitting at the reception. I looked around to see if there was a non-military receptionist but didn’t find any, then creative visualisation sets in, I started seeing horse-whips of different sizes in their hands, I saw all sorts of marks and welts all over my back but I had come too far to wimp out, besides I would let my group members down if I did. So I summoned courage, feigned confidence and walked towards them, but slowly with the fear of hitting a nerve. One of them left as I approached their desk and it felt oddly soothing, they had reduced to four. One of the four was on his own looking around, another was filling something that looked like a form, the other two soldiers were quietly chatting with each other. To my surprise, they all looked up at me with a wide grin, but I was too scared to return it. They even welcomed me before I could say ‘good morning’. They were nice but I didn’t buy it. I told them what I came for with a slight quiver in my voice. While I was explaining my purpose of visit to these two soldiers, one of them received a call from their superior commander. I could hear the superior commander asking him some questions, but he couldn’t concentrate. “He must have taken kain-kain”, I said to myself. To my surprise the superior commander told him to go and get something to eat, that he sensed hunger must be the reason for his lack of concentration, “that’s a nice man”, I said to myself. He hung up, rose to feet and led me to the elevator, then he kindly told me to go to the fourth floor, but still I didn’t buy it. I was still sceptical about their kindness. Soldiers are wicked people as long as I was concerned, I just felt like it was my lucky day. So I decided I would wait a while to see how they will treat any visitor that comes in on my way out of the building. I got to the mail-room, met about five women and two men working on their computers. As I opened the door, the first lady I saw smiled and welcomed me, she then directed me to the lady in charge of receiving non-I.T letters after I had told her what I came for. I submitted it, thanked the two of them and left for my next mission in the building. I had used up to two minutes in the mail-room, I checked my wrist-watch for time, time was 10:45am. “Not bad, I still have time”, I said to myself. So I got downstairs, then I stood in a corner where I could get a clear view of the activities at the reception and I started counting my letters just to be busy. Luckily for me, a woman came in right in time with her toddler-daughter, I watched as she walked towards them and they greeted her. The soldier who was busy filling a form when I came in did a little bantering with the little girl. The soldier that directed me to the then elevator stood up and lead her to the elevator. By this time I was already through counting my all the letters , he saw me in the corner where I was spying and said “my oga did you get the mail-room?” I said “yes, thank you very much sir.” “Don’t mention” was his reply. “Did he just call me oga?”, I said to myself once again. It was surreal, a military man called me oga, I felt like I was the GCFR. By this time I knew I should be on my way already, I said thank you to the soldiers at the reception as I walked towards the exit, they replied “you are welcome, have a nice day”. “Oh it’s a fiendishly nice day already”, I said to myself. It was such an auspicious way to start my day. So I left the corporate head-office of Oando Plc, then I went to five other companies on that wonderful royal day. At the end of the day it was obvious Oando Plc rendered the best customer service compared to the other places I went to. Even though my sponsorship request was not accepted, I was glad I went there. I relished every moment as short as it was. They showed that not only could they protect the building, they could also add to the value of the company. Oando head offices’ receptionists will definitely give the receptionists of the biggest hotels in Lagos a run for their money. Their attitude makes me feel as though I owe the Nigerian Army a ginormous apology, maybe I should just join them. 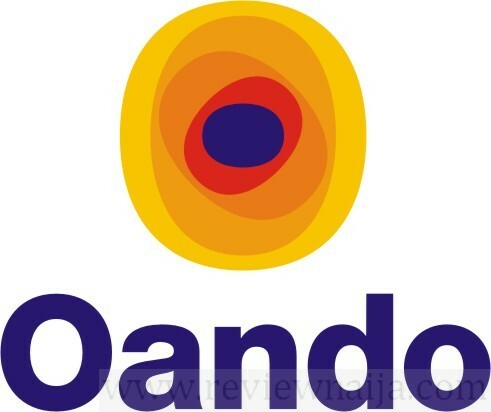 God bless Oando Plc, God bless the Nigerian Army.